Major U.S. Conservation Incentive to Expire in Two Days! 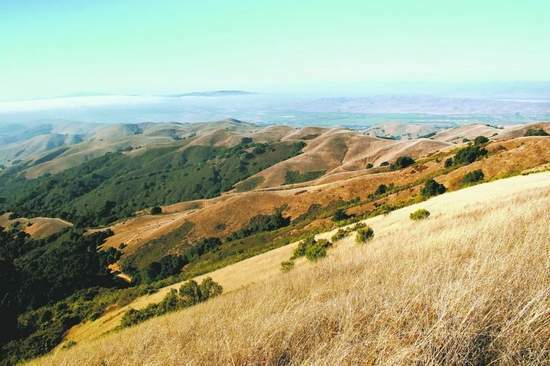 The Big Sur Land Trust announced earlier this month that they received a donated conservation easement on the 1,107-acre Colinas Ranch outside of Salinas, CA. The landowner was able to take advantage of a federal tax incentive set to expire at the end of the year. The Land Trust Alliance (LTA), a major champion of land conservation and coalition of U.S. land trusts, is reporting the imminent expiration of one of the most significant incentives for the private donation of conservation easements, a tool that permanently encumbers land from development and shapes metropolitan regions around the United States. Currently, federal tax incentives allow generous tax deductions for donations or bargain sales of easements. The program, which has already been extended once by Congress since its creation in 2006, awaits permanent congressional authorization or another temporary extension. Since its enactment, the enhanced tax incentives are credited with increasing the number acres preserved by 36% and the number of donated easements by 50% across the country. Some estimate as much as 250,000 acres – an area about the size of Colorado’s Rocky Mountain National Park – are protected every year as a result of the program. Land conservation advocates are calling for a permanent easement incentive, but their proposed legislative package has been stalled in Washington by the national debate over health care. The situation has created significant uncertainty in the real estate industry and land conservation community, which have adapted to this incentive and are still reeling from the fallout of the economic crisis. Some landowners are rushing to take advantage of the program before its expiration, including two enormous easements recently donated – one in Kent County, Maryland and the other near Salinas, California. It’s worth noting that when the tax incentive expired at the beginning of 2008, Congress was able to renew it retroactively to January 1 to avoid a gap in the incentive. The real danger is not if Congress will renew, but how long the uncertainty around these incentives will create a “chilling effect” on landowners contemplating donations.